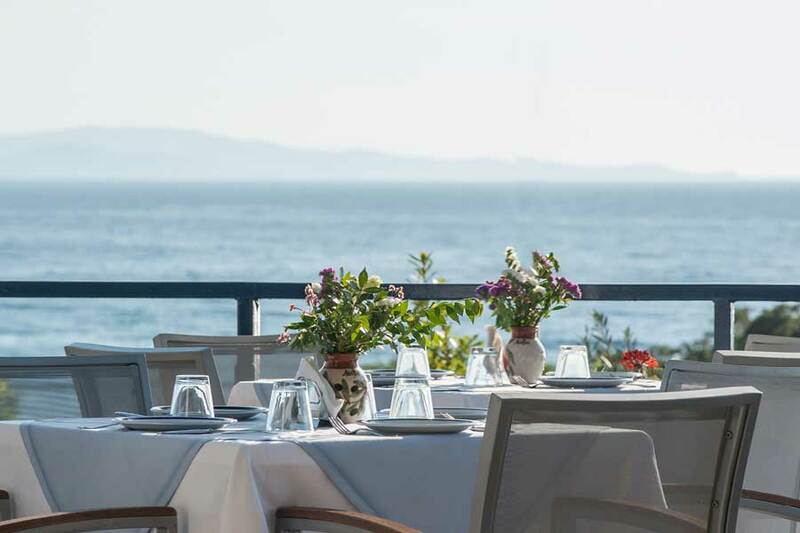 Enjoy the traditional cooking of Lesvos, in our picturesque restaurant and Greek Tavern, while you bask in the breathtaking sunset view of Molyvos. Savor the morning breakfast specialties from our luscious buffet, enjoy your coffee during the afternoon or a drink at the bar, accompanied by the sunset view as you gaze the traditional village of Molyvos. A traditional village deserves a traditional restaurant that serves unique tastes like those offered at our Delfinia restaurant near Molyvos, Lesvos. Enjoy our homemade unique delicacies created with the best ingredients the island has to offer. All our dishes are made with local ingredients and our meats and fishes are always fresh. 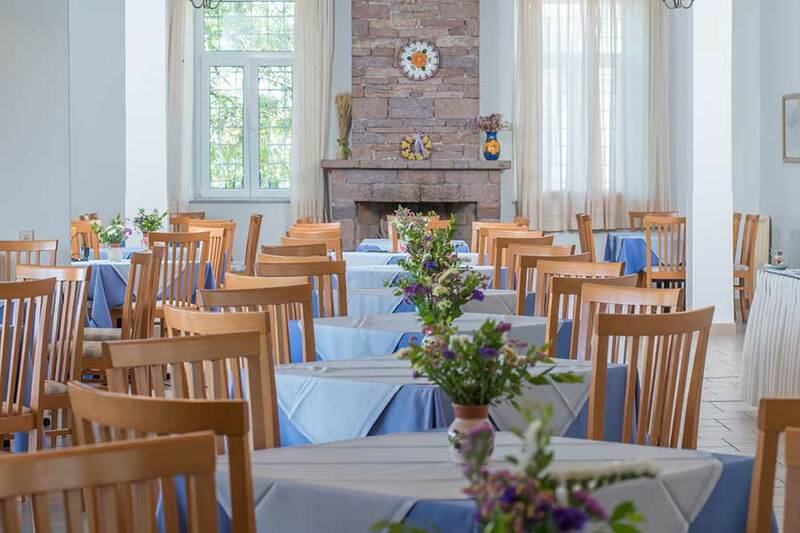 Whether you choose to dine at our restaurant or try the specialties offered in our traditional Greek Tavern, one of the best ouzo taverns on the island, we can promise you an unforgettable tasting experience. 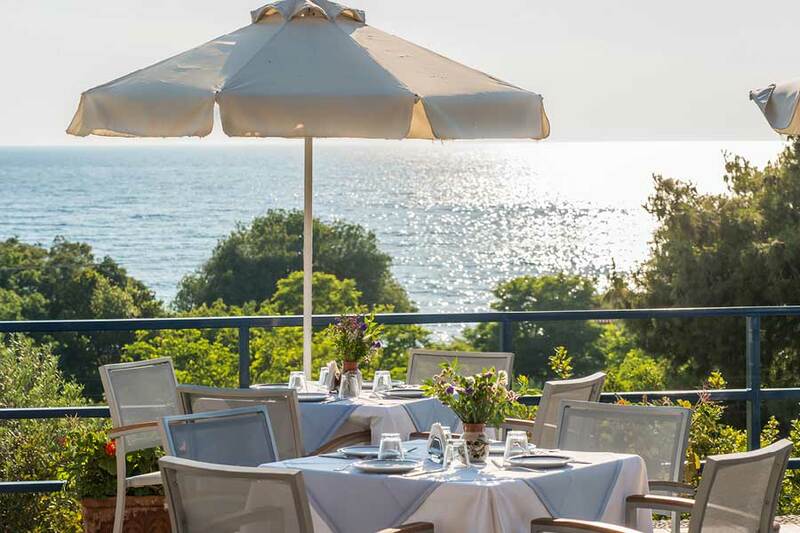 Our Greek Tavern, situated by the pool, offers unique local tastes, a variety of traditional cooking recipes with the best Lesvos olive oil, accompanied by the sunset view and the sea breeze. If you prefer a quick snack or a coffee, you can always order from the pool bar as you enjoy the sun. Situated by the hotel’s pool next to the beach, our traditional Tavern is ideal for ouzo tasting accompanied by local delicacies, while you enjoy the stunning view. Surrounded by beautiful and authentic scenery, offering the best view of Molyvos castle, the setting is both romantic and serene. All the dishes are prepared with natural fresh ingredients, and the renowned Mytilene oil is used in all of our recipes. At the Bar of Delfinia Hotel & Bungalows, we prepare and serve our Greek coffee in the traditional way and we take pride in our professional staff and their attendance. We invite you every evening to accompany the magnificent sunset view in our verandas, with the best drinks and a choice of beautiful music. Every detail is carefully taken care of, so you can always feel at home. For guests who wish to have their breakfast in the privacy of their bungalow, our staff will be happy to bring it from 07:00 until 11:00 free of charge. Only a few steps from your room or bungalow, you can find yourself on the sandy Molyvos beach with straw umbrellas, comfortable sunbeds and a wooden little table. We tempt you to order your favourite drinks and snacks to be served to you on the beach without having to move or abandon your swimming! 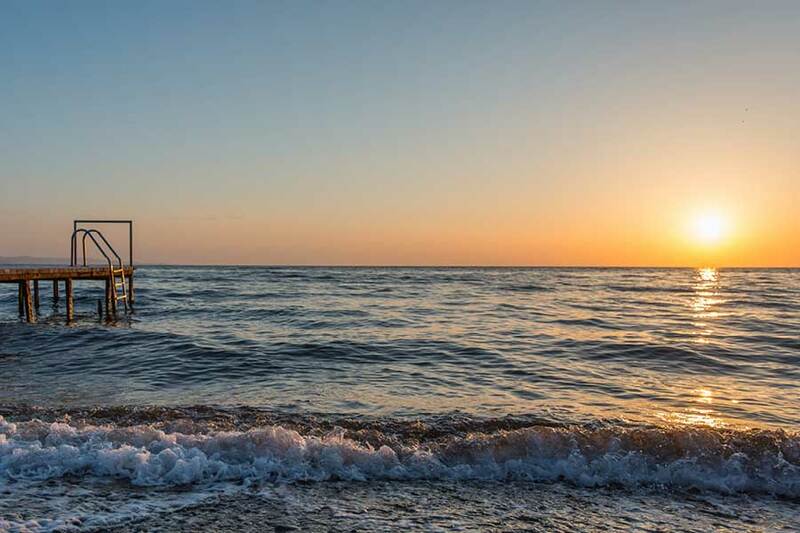 The experienced staff of Delfinia Hotel and Bungalows will make sure to keep the beach clean and in order and make your stay a very comfortable and pleasant one. For those interested in naturism, right at the far end of Molyvos beach, in the area of Psiriara, there is a spot where people who practise beach nudism gather and enjoy the benefits of the sun and a uniform tan. Our hotel promises you a relaxed yet attending atmosphere for your family holidays in Molyvos, Lesvos. The impeccable room service that can offer breakfast at the privacy of your bungalow veranda, the hotels’ tennis courts, the beautiful and shady green garden, full of trees, plants and flowers, and the children facilities including a playground, are only a few of the options offered at Delfinia Hotel & Bungalows. 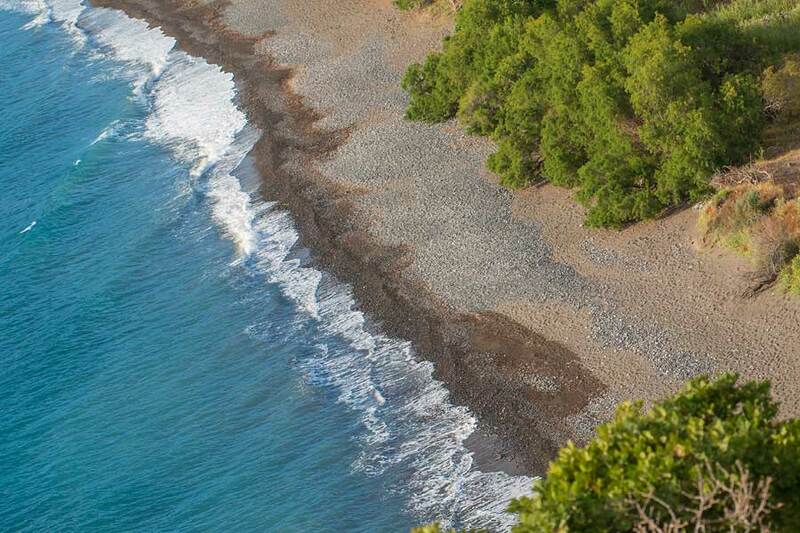 Who says that being on a Greek island you always have to go down to the beach? 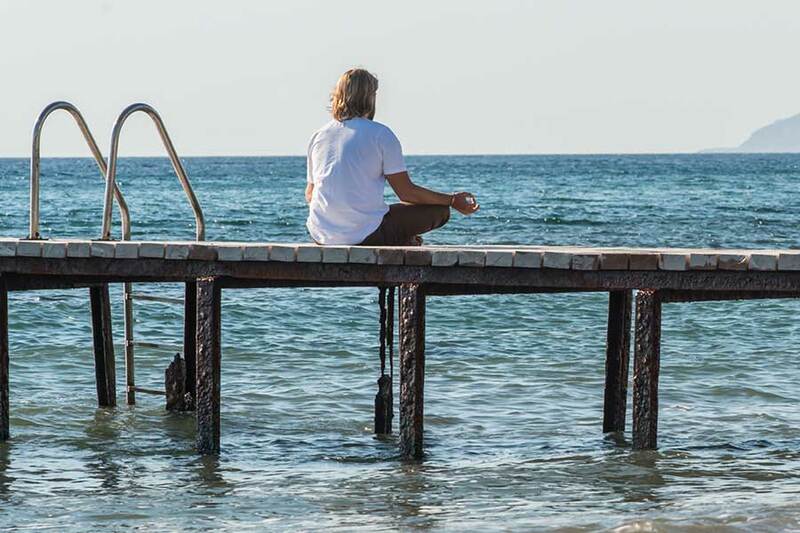 At Delfinia Hotel & Bungalows in Mythimna, Lesvos, one has the choice between the peaceful Molyvos beach or the hotel’s own swimming pool. Our swimming pool is ideal for families with children, to relax and enjoy the Greek sun in the most comfortable way. 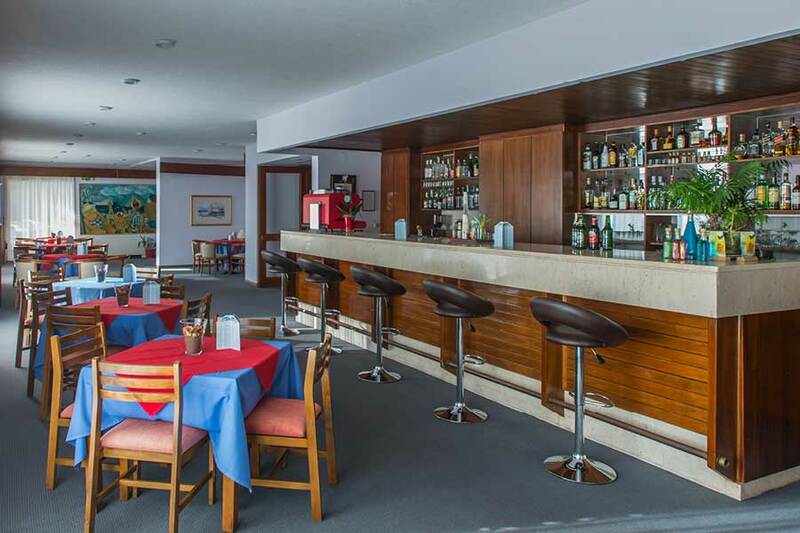 Add to that our supreme room service, the facilities and the internet wi-fi spot in the common areas of the main building, and you have the perfect place for your vacation. Delfinia Hotel & Bungalows offers direct access to the sandy Molyvos beach, at only 130m from the hotel and a mere 10m from the hotel’s pool. 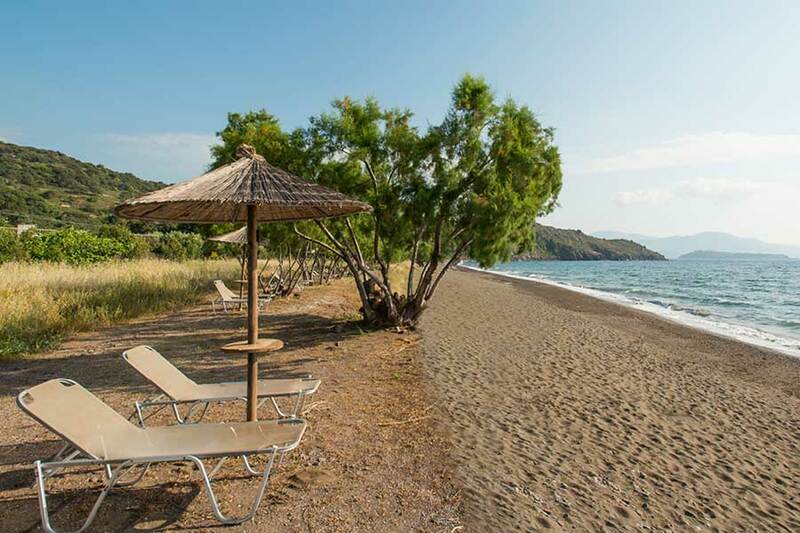 Enjoy the Greek summer in one of the most beautiful beaches of Lesvos with fine sand and clear waters, in a tranquil and natural environment on Molyvos beach. There are no roads passing near, no cars or other distractions apart from the breathtaking view of the medieval Castle of Molyvos right opposite and the calling of the seagulls. 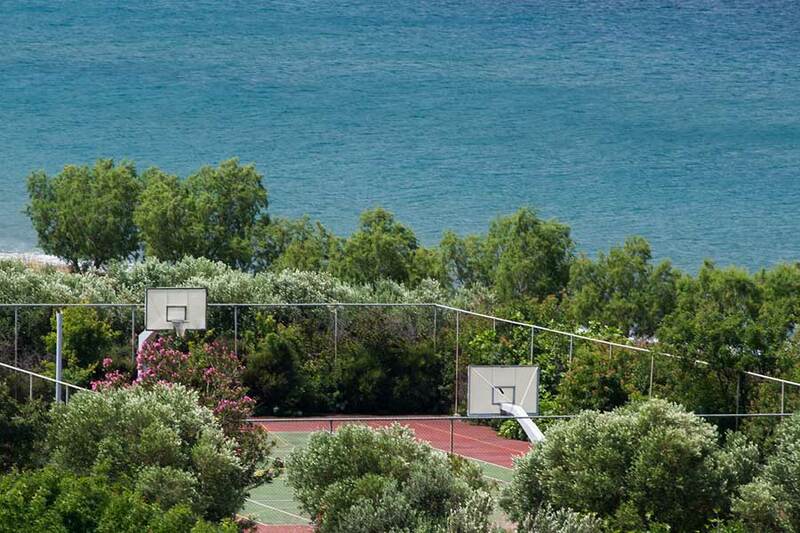 Discover the joy and energy offered by our hotel sport facilities in Lesvos, Greece and play with your children engaging fun and relaxing all day activities in Molyvos. 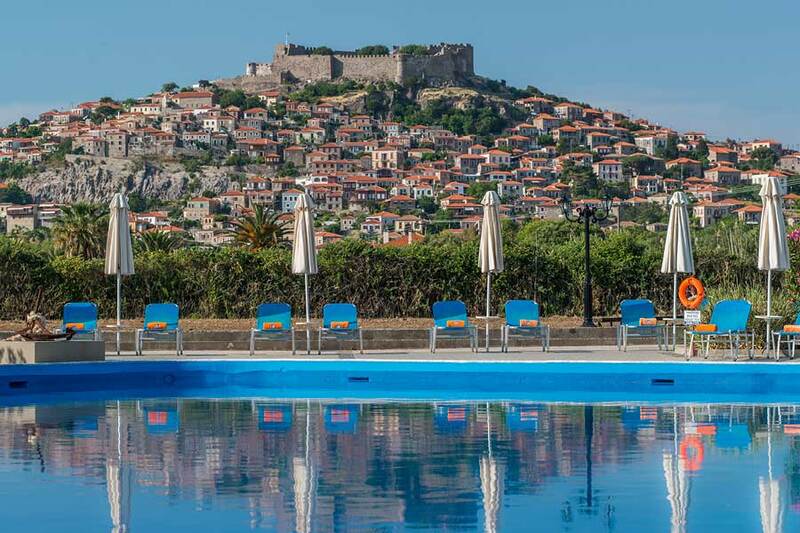 Our hotel in Molyvos, Lesvos, Greece offers you and your family plenty of enjoyable moments throughout the day. 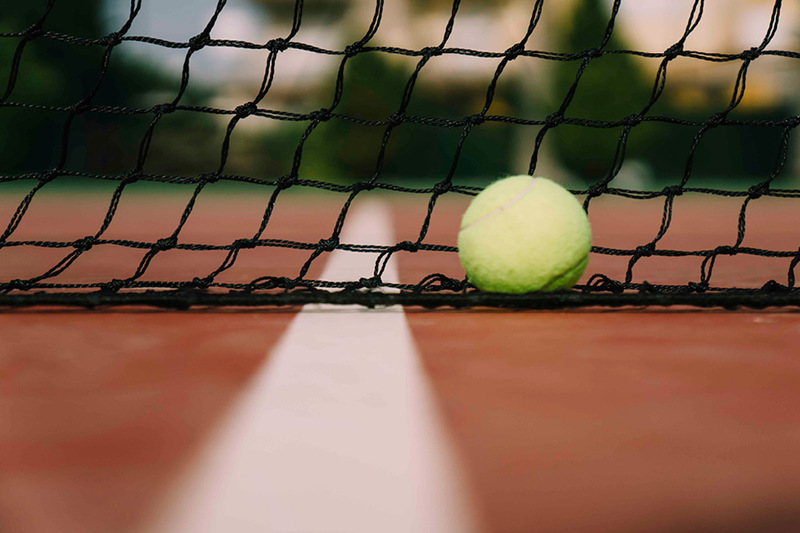 Our sport and children facilities will keep your family occupied for hours. 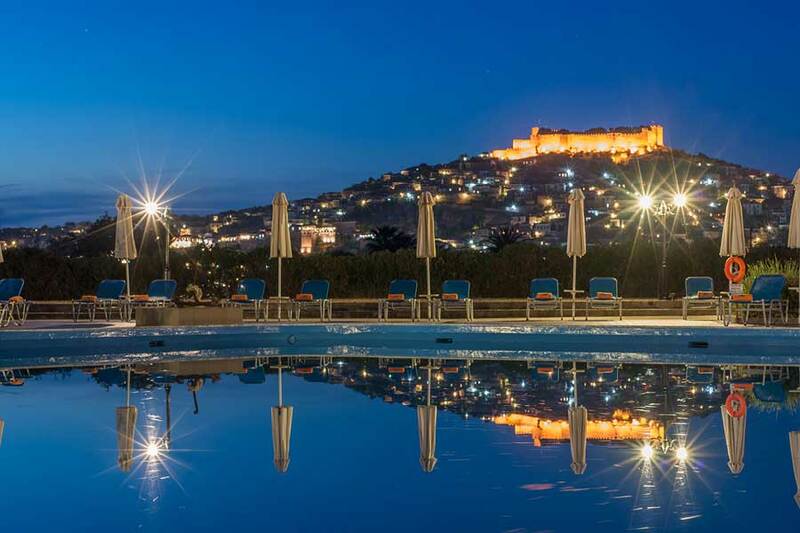 Our hotel children facilities includes table tennis, a basketball court and a mini-soccer 5×5 court, three tennis courts, and of course one of the most beautiful swimming pools in Lesvos, a pool bar with a variety of juices and ice-creams, and much more.